Irvine, Calif. – R.D. Olson Construction, an award-winning general contracting firm in California, recently marked the completion of a ground-up, two-part construction project in Healdsburg. The project included Hotel Trio, a 122-room hotel, and Citrine Apartments, a 37-unit affordable housing community. Located at 110 Dry Creek Road in the heart of the Sonoma County wine region, the area connects the Dry Creek, Russian River and Alexander wine valleys, giving the hotel its “Trio” name. The 82,638-square-foot Hotel Trio includes 13 one-bedroom layouts and 109 studios. 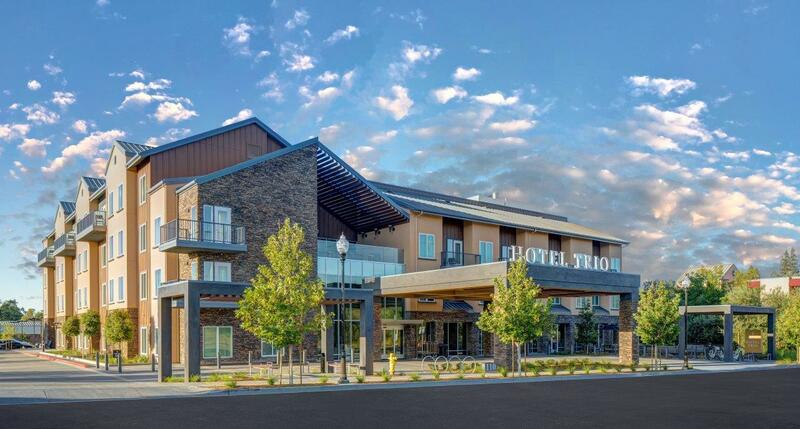 The hotel offers guests myriad amenities such as in-room kitchens, outdoor patios, firepits, a fully equipped fitness center, outdoor pool deck, wine and coffee bar, lounge, BBQ area, a meeting room and third-floor lounge overlooking Dry Creek. The hotel is walking distance to downtown Healdsburg and a host of local wineries. Guests also can enjoy on-site bicycle rentals and shuttle service, providing convenient access to hundreds of wineries within a 30-mile radius. Citrine Apartments, a 41,048-square-foot affordable housing community, is located adjacent to the hotel at 1260 Grove Street. 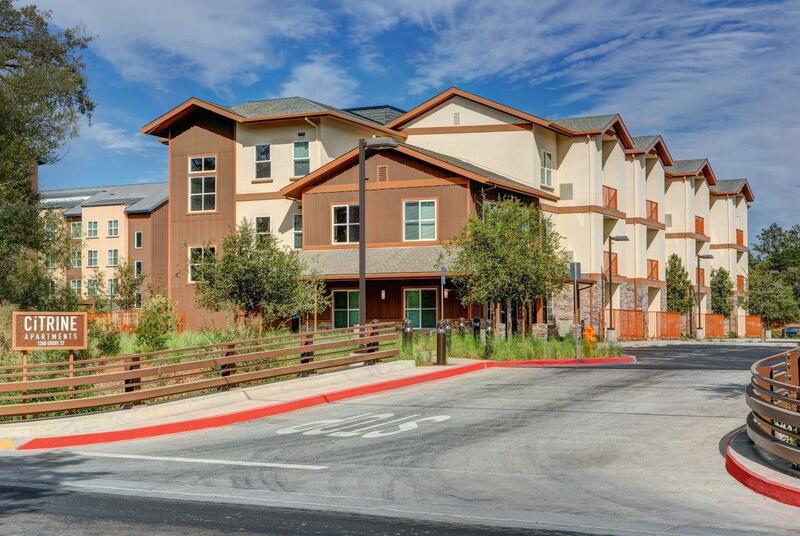 The community offers residents one-, two- and three-bedroom options. Amenities include a bike storage area, playground, outdoor lounge area, laundry facility, community room with Wi-Fi and a BBQ beach area. The development brings a much-needed affordable option for residents in a high-cost-of-living area.